4.5 out of 5 based on 943 user ratings as of 10/30/2018. 4.7 out of 5 based on 37 user ratings as of 10/30/2018. Fuzion has extremely competitive pricing on their UHP Sport A/S tire, with even the 18-inch sizes being offered at or under $100 per tire. 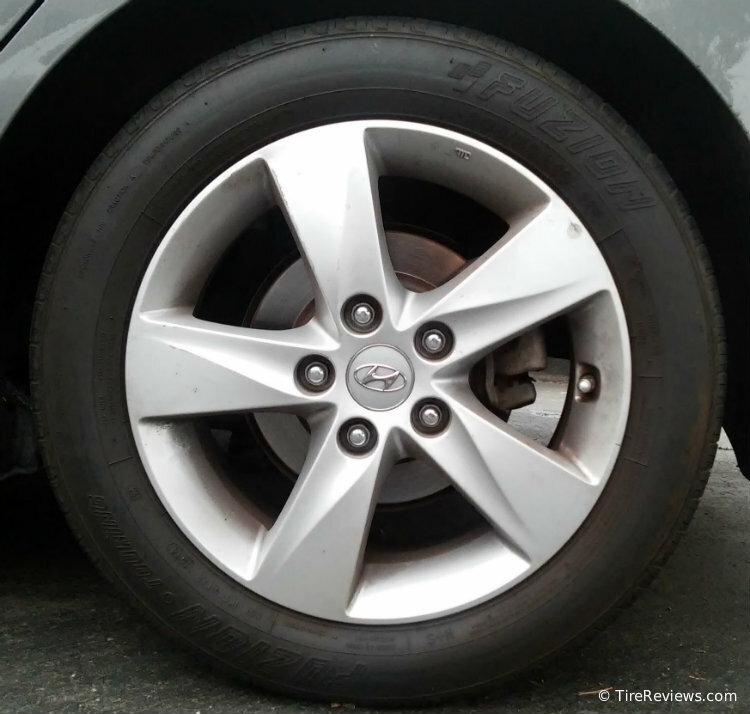 They exceed most reviewers' expectations at TireBuyer, with at least four reviewers noting that it is a quiet tire, and one driver has even ordered his fourth set of Fuzions! One recent reviewer states he is an Uber driver and drives 7,000 miles per month, and was able to attain 52,000 miles on a set of Fuzion UHPs. However, in sharp contrast, the professional testers and consumer reviewers at Tire Rack do not think highly of the Fuzion UHP A/S, rating it in last place in a 4-way comparo as well as bottom of the category in survey results. For this reason, we would consider the Fuzion more of a High Performance rather than Fuzion's own naming of this as a Ultra High-Performance tire. The Kumho Ecsta 4X II is our (and Tire Rack's) choice for a good UHP A/S tire. Update 10/30/18: Tire Rack tested the Fuzion UHP A/S in a new 3-way comparison in 2018, and the UHP A/S did fairly well, perhaps because it was put up against other budget brands. Along with the high number of reviews at TireBuyer, we think it's still a good budget choice as a HP, and not a UHP tire. 4.5 out of 5 based on 75 user ratings as of 9/5/2016. The Fuzion UHP appears to be discontinued, as it is now hard to find in stock and Fuzion's web site no longer displays it in its Product list. Check the Fuzion UHP A/S review above for an alternative. 4.7 out of 5 based on 363 user ratings as of 10/30/2018. 4.7 out of 5 based on 3 user ratings as of 10/30/2018.